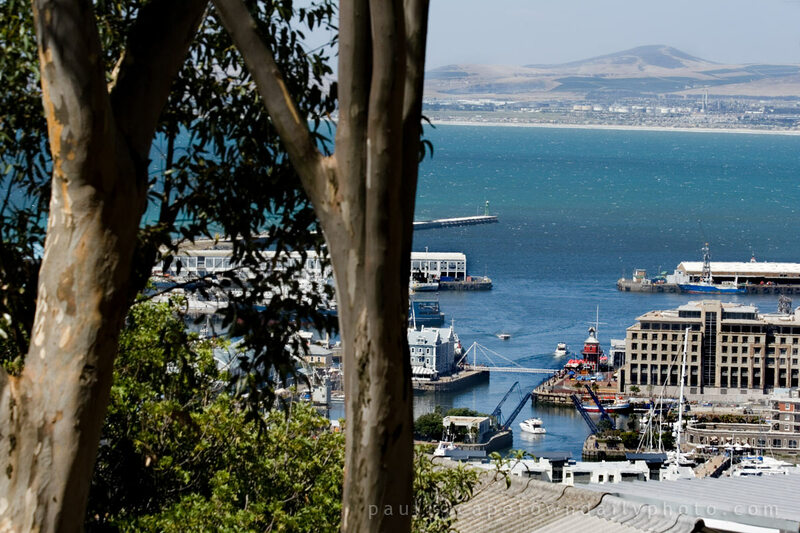 If you head up the slopes of Signal Hill, above De Waterkant and the last row of homes, you're able to scramble a little way up among the trees to get this view of Table Bay and the V&A Waterfront. It's a great vantage point, and one not often visited by tourists - or even locals (I'm hazarding a guess!). Imagine the early morning view as the sun rises over the Boland Mountain range (slightly to the right of this photo). Posted in General on Saturday, 3 April, 2010 by Paul.